It’s been a number of weeks since I’ve watched Ashes of Love (香蜜沉沉烬如霜) and I am still obsessed with it. I had the same experience with Ten Miles of Peach Blossoms (三生三世十里桃花) . It is clear that dramas based on Xianxia novels (仙侠小说) are my preference. Xianxia novels are a subset of the Wuxia genre (武俠). Wuxia literally means ‘martial heroes’. The heroes referred to in this genre are usually independent agents who are not tied to any ruling power. They do however have an innate sense of justice, seek to right wrongs and typically possess excellent martial arts skills. 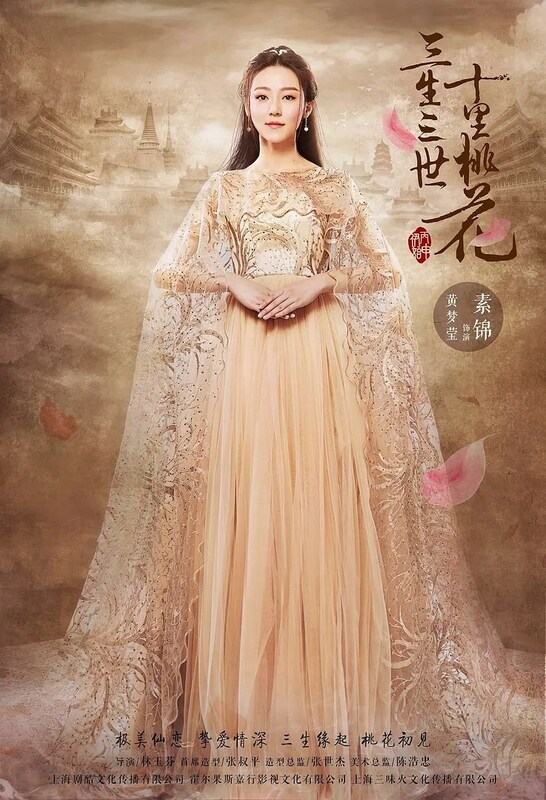 Examples of Wuxi dramas are Legend of Fuyao 扶摇, Princess Agents 特工皇妃楚乔传 and The King’s Woman 秦时丽人明月心. 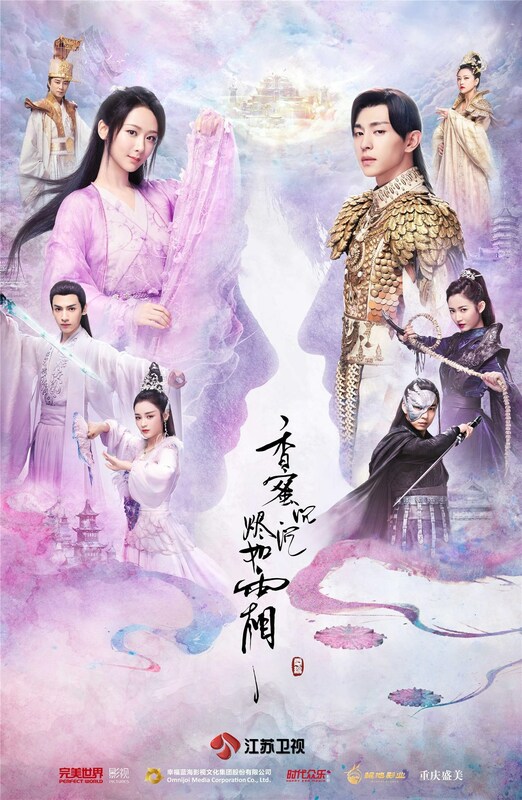 I could go into more detail, but will refrain from doing this as the purpose of this post is not to discuss Wuxia dramas as a type of drama (please let me know if you would like a post on this topic) but rather to compare Ashes of Love against Ten Miles of Peach Blossoms — both Cultivation fantasy dramas. Despite thoroughly enjoying ‘Ashes of Love’, I gave it a 4.5/5 as opposed to the full-marks I gave ‘Ten Miles of Peach Blossoms’. Given the similarities, I wanted to compare the two dramas to determine why I thought ‘Ten Miles of Peach Blossoms’ was the better one. Before I get started, I should mention that there will be spoilers in this post. Further, this comparison will predominately focus on the main/lead characters, how they are explored and portrayed by their respective actors. I readily admit that the CGI used in both dramas is sub-par so I will not be discussing cinematography or the like. 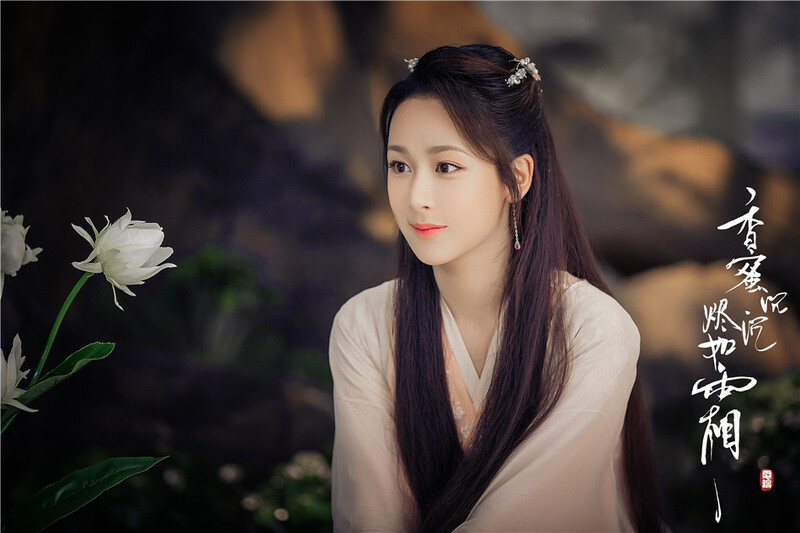 While I maintain that Ashes of Love is a completely separate story to Ten Miles of Peach Blossoms, Jin Mi (portrayed by Yang Zi 杨紫) as a character combines elements of both Bai Qian and Ye Hua’s story. At the beginning of Ashes of Love, Jin Mi is gullible, impressionable and easily manipulated. This parallels Bai Qian character as Si Yin (her alias while training at Kunlun Shan) and Su Su (her alias in the Mortal Realm). Jin Mi’s persona takes a sharp turn when she kills Xu Feng and expels the Pershing Pellet. After this milestone event, Jin Mi through guilt and remorse changes — she is less playful, more thoughtful and ultimately willing to sacrifice her life for the sake of others. Her story in this respect is more similar to Ye Hua’s. After Ye Hua removes Su Su/ Bai Qian’s eyes — in part contributing to her suicide — he undergoes a character change also fuelled by guilt and regret. He becomes more vulnerable, soft and also more willing to sacrifice himself. The main difference between Ye Hua and Jin Mi in this story arc was that I found Jin Mi more willing to expressly address her wrong. In other words, she was a lot more forthcoming as oppose to Ye Hua who only openly admitted that he did something wrong after Bai Qian regained her memories. There is an argument that Jin Mi should be more willing to admit her wrong because she intentionally harmed Xu Feng whereas Ye Hua was only trying to protect Su Su/Bai Qian not harm her. I accept this argument but still appreciated Jin Mi express admission and her efforts in trying to redeem herself. Bai Qian/Su Su/Si Yin (portrayed by Yang Mi 杨幂) growth story was less obvious. She did slightly change/mature after Mo Yuan’s sacrifice/death and again after Su Su’s death/Bai Qian’s rebirth. However, despite the occurrence of these very significant events, Bai Qian continued to be: stubborn (to a fault), a little cold and have trouble with open and honest communication. Writing candidly, I believe the lack of character change seen in Bai Qian is also attributable to Yang Mi’s acting skills. 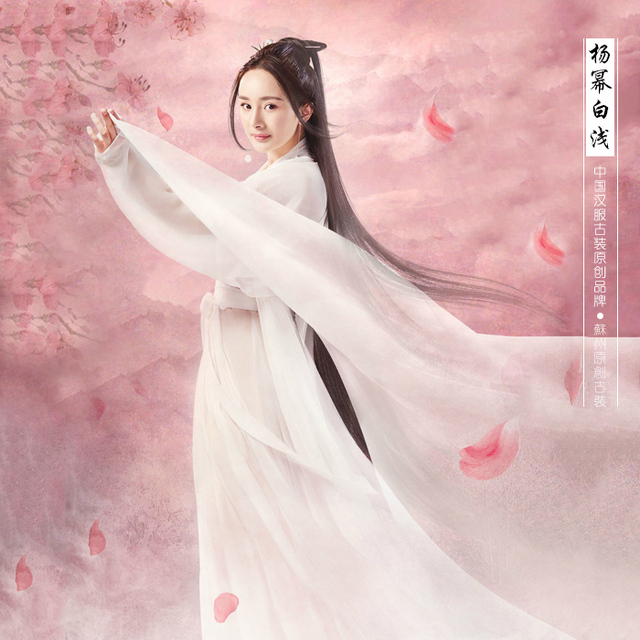 While I really enjoyed watching Yang Mi’s portrayal of Bai Qian in Ten Miles of Peach Blossoms, Yang Zi is a better actress. Yang Zi is a lot more expressive which made her portrayal of the lead female better. 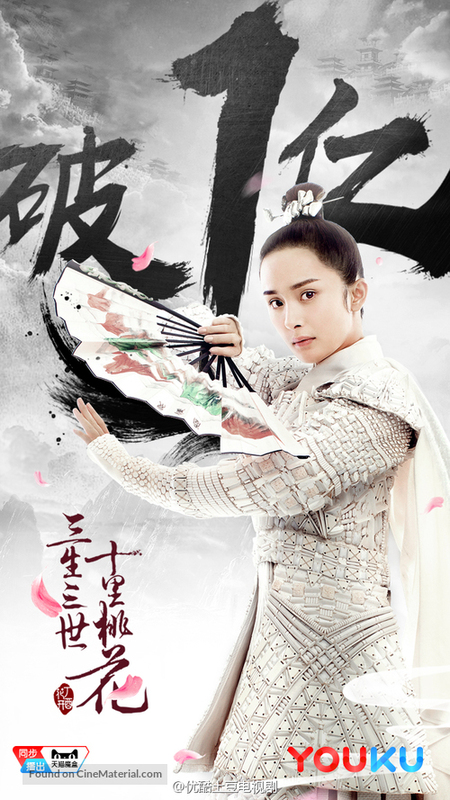 Notwithstanding the above, I must admit that I preferred the strength in Bai Qian character. 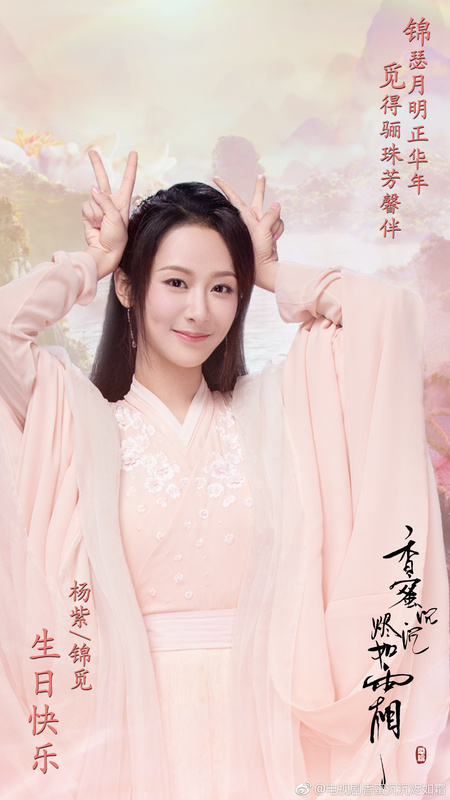 Jin Mi despite going through a lot of hardship was still heavily reliant on the strong men in her life (whether it was Runyu, Puchi or Dan Zhu) whereas Bai Qian not only becomes strong (attaining High God status) but also resourceful. Episodes 30 (the reunion episode of Bai Qian and Ye Hua) and 54 (Bai Qian takes her eyes back from Su Jin) are great examples of Bai Qian wit, resourcefully and strength. For the reasons above, I thought the lead females were tied. I definitely ‘liked’ Jin Mi’s character more but ‘admired’ Bai Qian more. Further, Jin Mi growth story is balanced out by Bai Qian’s strength. Before I state my reasons for choosing Ye Hua (portrayed by Mark Chao 趙又廷) in this category, I must say that I am a Deng Lun邓伦 fan. Since Princess Agents 特工皇妃楚乔传 he has been one of my favourite actors. really, truly in love with the lead female. Their similarities do not end there but Mark Chao’s portrayal of this archetype was more moving and convincing. The emotion and passion he felt toward Bai Qian was so much more apparent when compared with Xu Feng toward Jin Mi. At times, Xu Feng’s love for Jin Mi was more like sibling love (at one point he did also think they were siblings). Further, given the Jin Mi’s child like manner at the beginning of the drama, I still cannot understand how Xu Feng fell for Jin Mi in the first place. 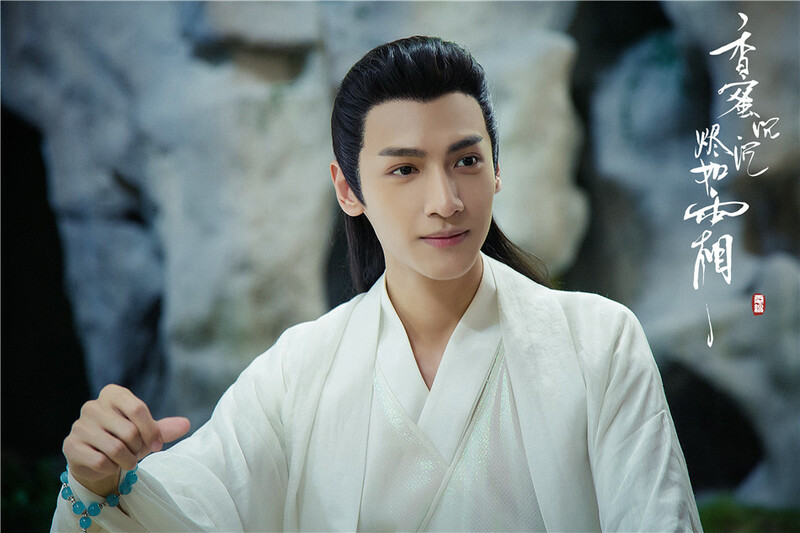 On a similar point, after watching Ashes of Love and then re-watching Ten Miles of Peach Blossoms, a very noticeable difference between the two was Mark Chao’s facial expression compared to Deng Lun’s. The nuanced change in his expression effectively communicated the various feelings Ye Hua was experiencing whether it was grief, joy or relief. It is because of Mark Chao’s outstanding portrayal of Ye Hua/Mo Yuan that the love story was also more powerful. While I thought Xu Feng and Jin Mi were a great pairing, they could not compete (in my view of course) with Ye Hua and Bai Qian. This was no contest. Run Yu (portrayed by Luo Yunxi 罗云熙) was far and away an infinitely better second male lead. He was the ever-sympathetic villain, the second lead who deserved better and the character who finally redeemed himself. 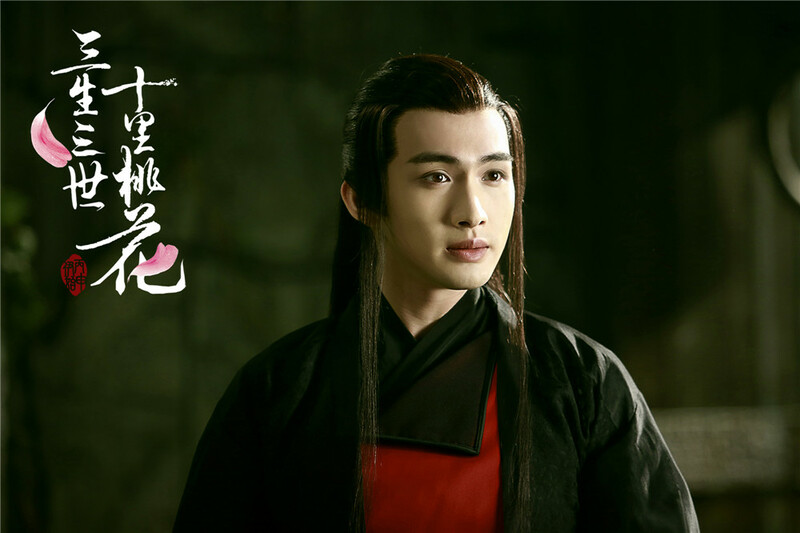 Li Jing (portrayed by Vin Zhang 张彬彬) on the other hand was the pitiful villain/second lead who was easily manipulated and always let his womanizing ways get the better of him. Run Yu was a good guy gone bad (and not even that bad) as a result of difficult circumstances. However even during his ‘bad’ phase of scheming and ascending to power he always tried his best to protect Jin Mi. Su Jin had no redeeming qualities — she was constantly scheming, completely disregarded the consequence of her actions and her obsession with Ye Hua was a complete mystery. While Sui He was just as conniving as Su Jin, I understood her obsession with Xu Feng better. And even though she killed Jin Mi’s father and step-mother (framing Xu Feng in the process) she did also did also try and help Xu Feng where she could (in the mortal realm and in bringing him back). Accordingly, in this category Sui He from Ashes of Love wins. Both original soundtracks were exceptional and deserved a mention. I heard the soundtrack 凉凉 (see below) before I had watched Ten Miles of Peach Blossoms and was from them enchanted with the drama. The soundtracks to Ashes of Love were a lot grander with strong beats and electric sounds. The inclusion of modern sounds against the classical type singing seemed appropriate in circumstances where the main cast of Ashes of Love were a lot younger than in Ten Miles of Peach Blossoms. While I listened (and still listen) to both soundtracks on repeat, for those who need to work/think while listening to background music I recommend the OST to Ten Miles of Peach Blossoms. It is a lot softer, lighter and upbeat. For a solid power walk to and from places, I would recommend the soundtrack to Ashes of Love. 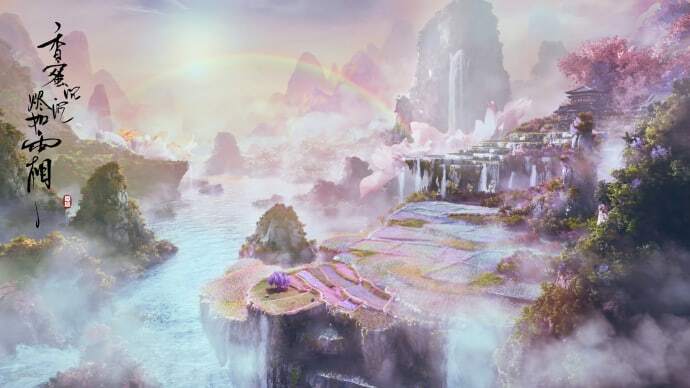 Not only does it take you to a different world (the world of Ashes of Love) but it is electrifying and energizing. We have another draw but this time not in a good way. I found both endings disappointing. Both dramas seemed to have peaked a couple of episodes before the end and then nose-dived. I don’t attribute the nose dive to the simplistic happy endings — which is what we got in both dramas — as I am all about happy endings. The endings just seemed incomplete. For example, Ye Hua and Bai Qian literally talked about getting married since episode 12 (of 58) however we got no wedding… how does that make sense? With Ashes of Love, I really felt like Jin Mi and Xu Feng didn’t get any closure. The last few episodes of Jin Mi were of her still thinking Xu Feng hated her. Xu Feng on the other hand was mopping about and regretting that he hadn’t thanked or acknowledged Jin Mi. It was possible for the characters to get appropriate closure in Ashes of Love, I mean Xu Feng had an episode long chat with Runyu about all that had happened to them. Jin Mi also had a moment with Runyu where they could acknowledge each other and the past. But Xu Feng and Jin Mi did not have any of this – they neither talked things through or acknowledged what they had gone through for the sake of each other. I found this extremely disappointing. If all categories were equal, Ashes of Love would have scored higher. Alas, they are not and I am resolute that Ten Miles of Love is the better drama. After, going through each of the above categories I can now (with certainty) pin it down to Mark Chao’s performance as Ye Hua/Mo Yuan. Mark Chao truly pushed Ten Miles of Peach Blossoms forward. His expressions and his chemistry with Yang Mi were not replicated in Ashes of Love. While I really like Deng Lun as an actor, watching his performance was just not as moving as watching Mark Chao. I haven’t watched all episodes of Ashes of love. Tried few episodes and then dropped it as I was not hooked. I loved Eternal love and the main lead there sure is one of the best chinese actor. I love that drama too. It was an easy watch and I didn’t mind the no. of episodes. 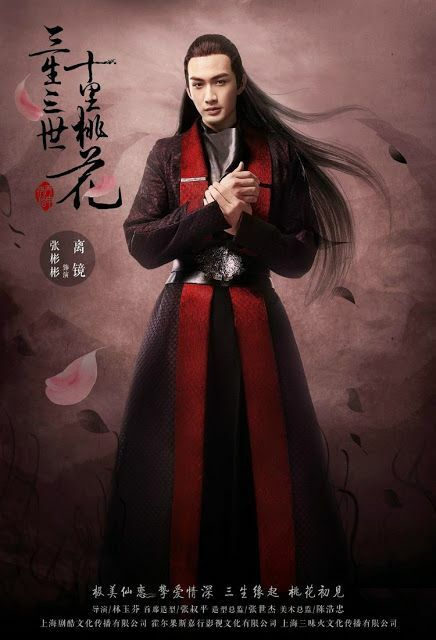 Very true – TMPB length/lead actor were preferable but I would highly recommend Ashes of Love. The drama gets better as it gets deeper into the storyline. Since it’s available on YouTube I will fry to watch it again. I could not agree with you more! It’s like you put my thoughts into words perfectly. 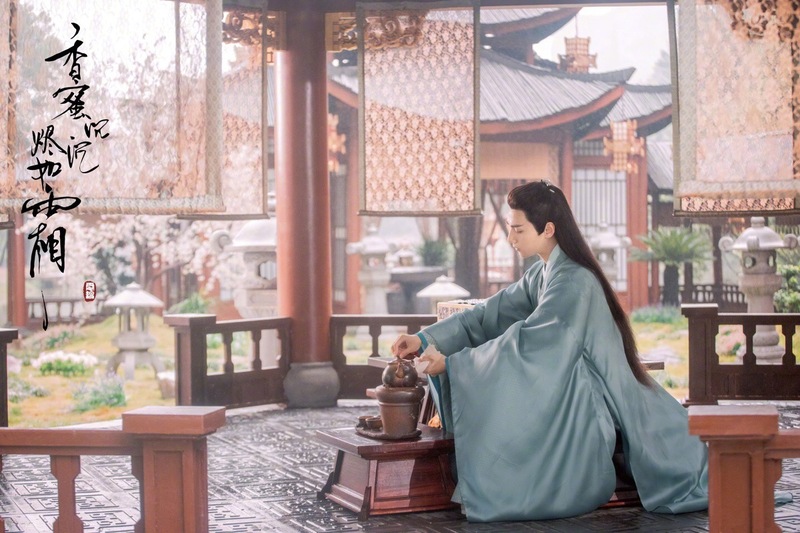 While in many ways I liked many of the secondary characters better in Ashes of Love, Ye Hua still has me thinking Ten Miles of Peach Blossoms was the better drama over-all. Saying that, I love them both so much, it’s difficult to decide which would be the winner! I am so glad you agree! It was incredibly difficult to choose because both are really good and re-watchable. It was only having re-watched both dramas for this post that made me realize how good Mark Chao as Ye Hua was. What is the next best drama after Ashes of Love and Ten Miles of Peach Blossoms? Just as a a bit of background to help you decide: “The Story of Minglan” is a lot more historical and on the same wavelength as “Story of Yanxi Palace” and the main couple is really great to watch (they recently got married in real life!). “I will never let you go” is a romantic comedy/fantasy – it’s a lot more light than both AoL and TMPB and quite fun to watch. Very true – Runyu was really an unforgettable character. Even though he didn’t get Jinmi, he at least got to be the heavenly emperor?